After four years of discussion and deliberation, in May 2017 the European Council and European Parliament provided overwhelming approval to Regulation (EU) 2017/821, which will regulate minerals from conflict areas into the European Union. 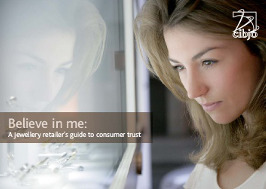 The new legislation will significantly impact the operating procedures of jewellery companies in the European Union, as well as companies that supply them from outside the EU. 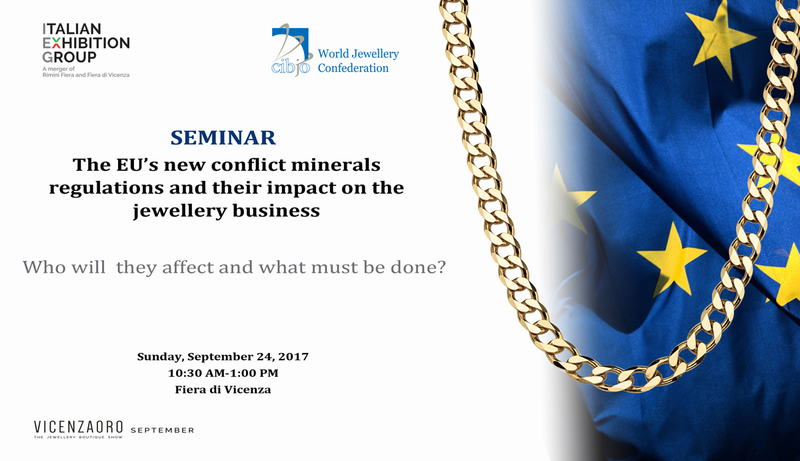 On Sunday, September 24, 2017, CIBJO, the World Jewellery Confederation, and the Italian Exhibition Group, will present a seminar to provide members of the jewellery trade background on the new legislation and its impact, and present strategies for incorporating the new regulations in their businesses. The seminar will take place at Fiera di Vicenza on the second day of the VICENZAORO September jewellery show, from 10:30 AM to 1:00 PM. The new EU regulation imposes certain due diligence obligations upon companies importing gold, tin, tantalum or tungsten from conflict-affected and high-risk areas. 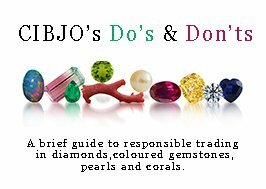 It becomes the third major regulatory framework impacting the jewellery industry, joining the Kimberley Process, which focuses on the rough diamond trade, and the Section 1508 of the United States’ Dodd Frank Act, which also regulates the 3Ts and gold. While the legislation has already been approved, the EU lawmakers provided a four-year phase-in period, which gives companies until January 1, 2021, to adopt the due diligence and other procedures that are part of its requirements. The EU also ruled that the regulation will apply to all metal and mineral importers whose annual import volumes are above a threshold amount, with the threshold set so at least 95 percent of the total imported volumes into the region of each metal and mineral will be subject to the regulations. This means that companies only importing small amounts of gold will be exempted from the provisions of the legislation, although it is advised that all companies become familiar with its requirements. According to the new law, European importers of gold above the threshold will need to apply due diligence steps that must be consistent a due diligence scheme that is approved by the European Commission. 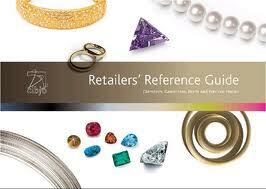 That could include the chain of custody standards of the Responsible Jewellery Council or the London Bullion Market Association. The seminar in Vicenza on September 24 will feature a blue-ribbon panel of expert speakers, representing the European Union, the European precious metals industry, industry standards-setting and monitoring organisations. 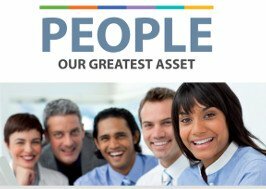 Presentation will be made in English, and a simultaneous translation into Italian will be provided. The seminar will be the latest in a series of educational events organized by CIBJO and the Italian Exhibition Group, which is part of their programme, endorsed by the United Nations Economic and Social Council (ECOSOC), to support Corporate Social Responsibility and sustainability in the jewellery sector.